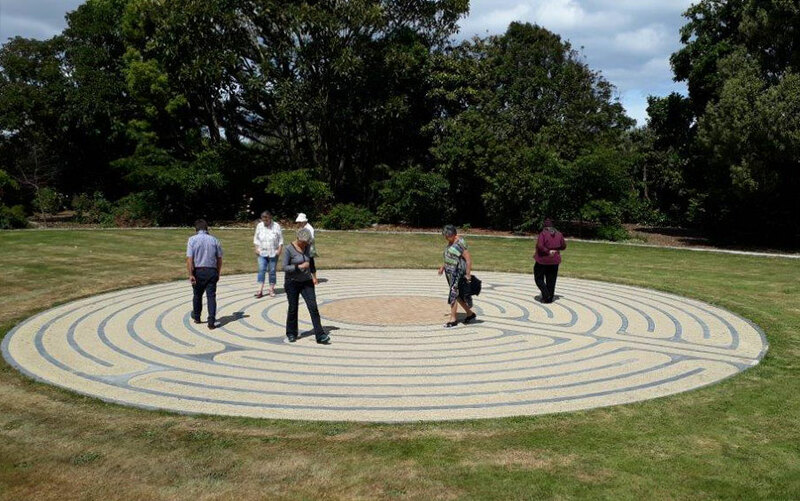 WelCom December 2017: A group of Hāta Mere rāua ko Hāto Hōhepa Parish parishioners from St Mary’s Church at Pukekaraka, Ōtaki, along with friends and family attended the blessing of a newly constructed prayer labyrinth at Anam Cara (soul friend) Retreat Centre and home of Shona and Robin Hartendorp, in Ōtaki. A labyrinth is a circular path that facilitates a walking meditation. ‘The labyrinth at Anam Cara leads visitors slowly to its centre; the journey to the centre enables letting go and focus; the centre is a place of arrival, connection and insight. The journey away from the centre is for integration and deepening the gift of the centre,’ said Fr Peter.